Religion and Characters in Ms. Marvel (vol. 1) #1 (Jan. 1977): "This Woman, This Warrior!" 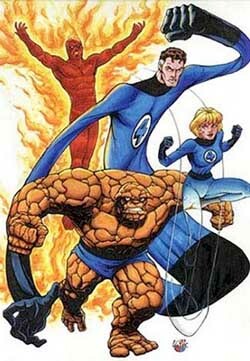 by Gerry Conway, Carla Conway, John Buscema, Joe Sinnott, etc. Dr. Kerwin Korman (to Scorpion): "I play to use it as part of my retirement fund. 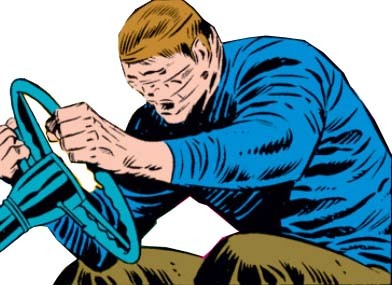 I grow weary of making weapons for groups like HYDRA. I grow sick of this lab -- and its childish toys." 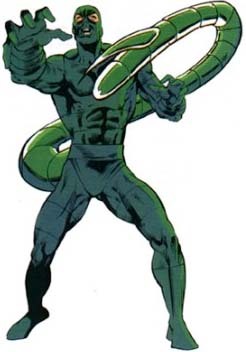 Scorpion/Mac Gargan (to Ms. Marvel): "Lady, you're crazy! 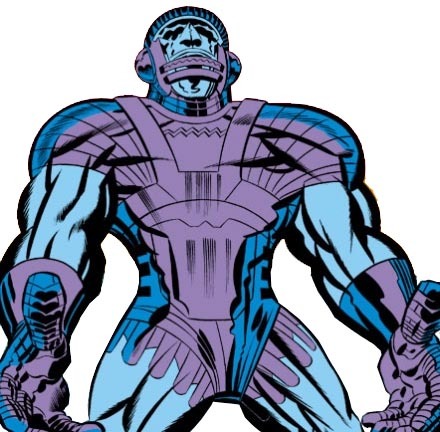 I heard about the Kree -- how they've got Sentries who fought the Fantastic Four and the Avengers -- how their science is a million years ahead of Earth's -- but you sure ain't one of them!" 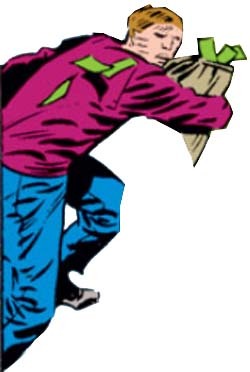 bystander (after seeing Ms. Marvel take down 5 bank robbers): "It's an act! 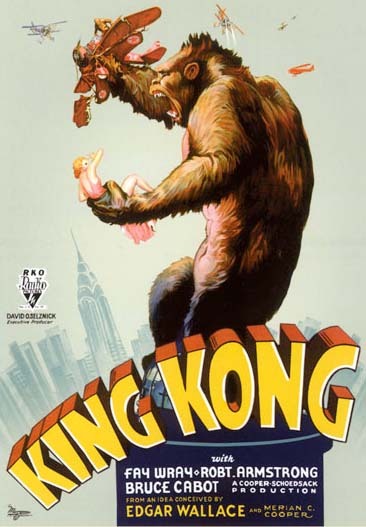 A publicity stunt -- like that gag at the World Trade Center with the styrofoam King Kong!" Hewlit (doorman): "Ms. Danvers! There was a man to see you -- said his name was Barnett. He left a message -- something about dinner at Sardi's--?" 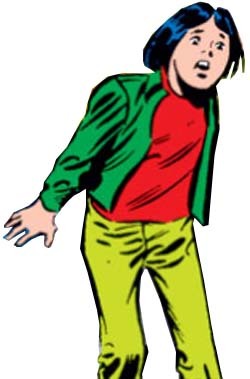 Carol Danvers: "Thanks, Hewlit. I'll give Mike a call when I get upstairs." 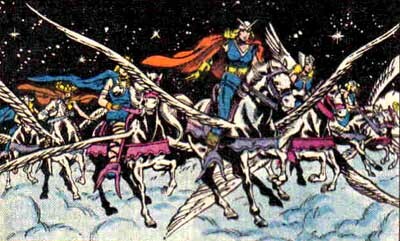 Quote: "Like the Valkyrie guards of Valhalla, she swoops across the face of the Earth, arms as wide-spread as an eagle's wings, eyes burning, jaw set... her every sinew throbbing with battle anticipation... we may call her -- Marvel: Ms. 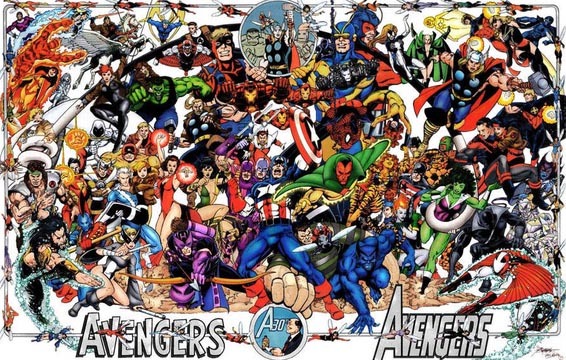 Marvel!" 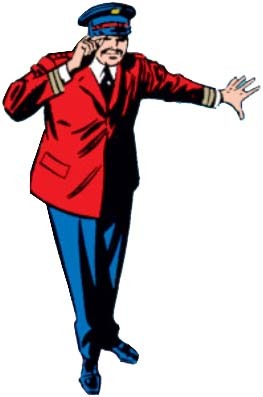 bystander (after seeing Ms. Marvel take down five would-be bank robbers): "I've seen tough -- but that little lady makes Lynda Carter look like Olive Oyl!" J. Jonah Jameson (to Carol Danvers): "Lately... I haven't had time to devote myself to our Magazine Department -- particularly our women's magazines -- and let me tell you, Miss Danvers, it shows. 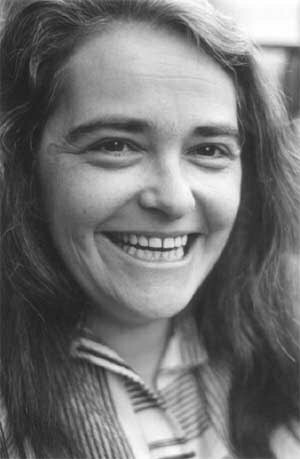 Articles on Women's Lib, interviews with Kate Millet [sic], stories about careers for women -- yecch." 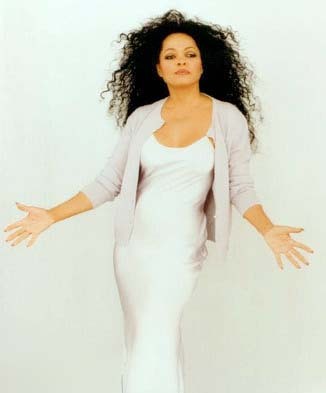 Mary Jane Watson (to Carol Danvers): "I once saw your picture in Rolling Stone, on some article you wrote about Diana Ross!" Quote: "Brooklyn: One-time home of the Dodgers, part-time home of Norman Mailer, current home of the Scorpion--"
Giant-Size Ms. Marvel #1 (Feb. 2006): "This Woman, This Warrior!" 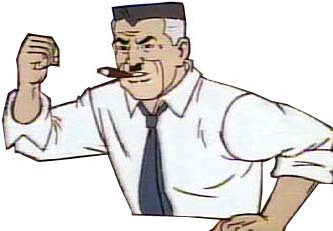 BELOW: J. Jonah Jameson: I hate super-heroes! J. Jonah Jameson hires Carol Danvers to be the new editor of Woman magazine. Her first assignment is to write an expose on New York's newest super-hero, Ms. Marvel. 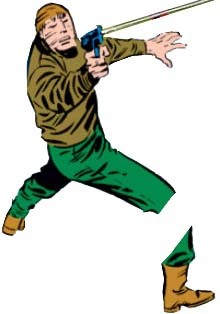 When Danvers asks why, Jameson explains: "This is something else, something MORE IMPORTANT [than fashion]. I HATE super-heroes, Miss Danvers. HATE THEM!" BELOW: J. Jonah Jameson's disinterest in Feminism is made clear: When J. Jonah Jameson hired Carol Danvers (secretly Ms. Marvel) to be the new editor for Woman magazine, his disinterest in contemporary Feminism is obvious. He says "yecch" to topics the magazine has tackled lately, such as "Women's Lib," an interview with famed LGBT Feminist activist Kate Millett, and careers for women. 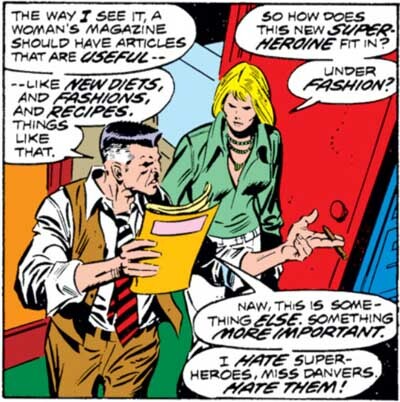 Jameson thinks a woman's magazine should focus more on "useful" topics such as diets, fashion, and recipes - topics he regards as the proper traditional concerns for women. BELOW: Carol Danvers makes her strong Feminist sensibilities known: Feminism was a major theme in the first volume of Ms. Marvel comics. When hiring her as the new editor for Woman magazine, J. Jonah Jameson's disinterest in Feminism was clear. After agreeing on her salary, Ms. Marvel lays down a few rules which signify her Feminist ideas. She insists on being called "Ms. Carol Danvers." (Jameson had called her "Miss Danvers.") 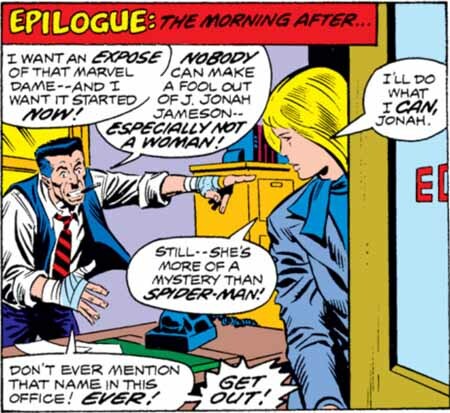 She also tells Jameson "forget it" when it comes to his suggestion of an editorial focus on diets and recipes. 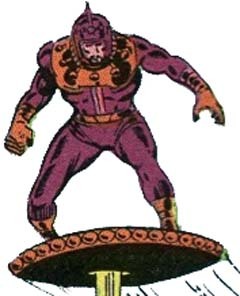 BELOW: Ms. Marvel wonders where J. Jonah Jameson's "anti-superhero crusade" has gone when he needs to be rescued by her from the Scorpion: J. Jonah Jameson is being held captive by the villainous Scorpion, who intends to kill him. When Ms. Marvel arrives on the scene, Jameson pleads with her to rescue him. Note how Ms. Marvel uses the word "crusade" in connection to Jameson's strident anti-superhero stance. 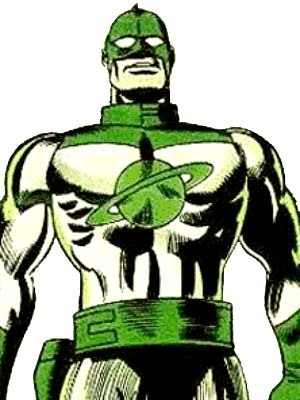 This word, commonly used with religious ventures, illustrates the religious-like zeal with which Jameson hates super-heroes generally and Spider-Man specifically. 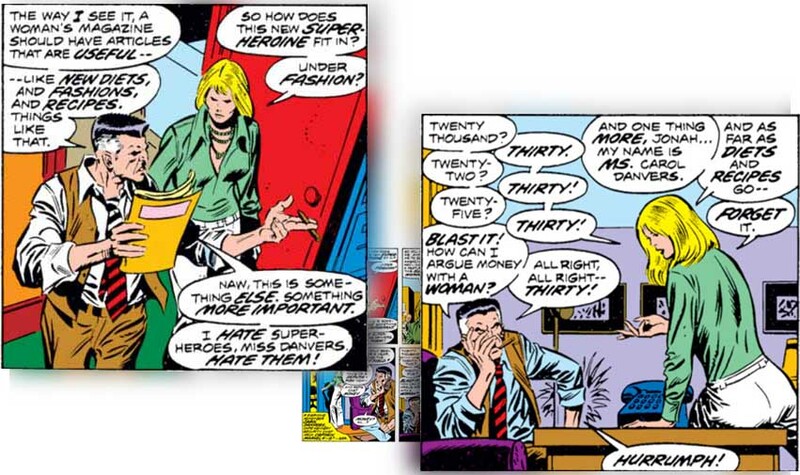 BELOW: J. Jonah Jameson's hatred for Spider-Man is evident in how he reacts to Carol Danvers mentioning him: When newly hired Woman magazine editor Carol Danvers mentions Spider-Man, J. Jonah Jameson reacts strongly. 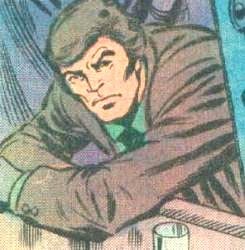 Jameson's hatred of Spider-Man is clearly evident when he yells at Danvers: "Don't ever mention that name in this office! EVER! GET OUT!" 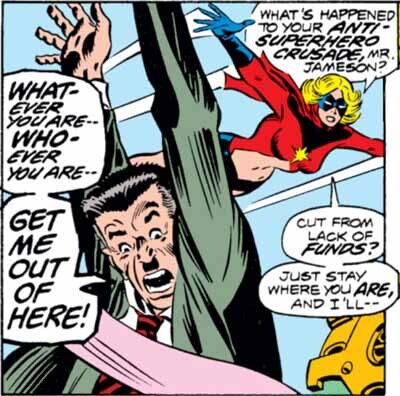 This panel also demonstrates Jameson's general disdain for super-heroes and his nascent hatred for Ms. Marvel. Even though Ms. Marvel saved Jameson from being killed by the Scorpion, Jameson still wants Carol Danvers to write an exposé on her. He is infuriated by how (in his opinion) she made a fool out of him when she rescued him. 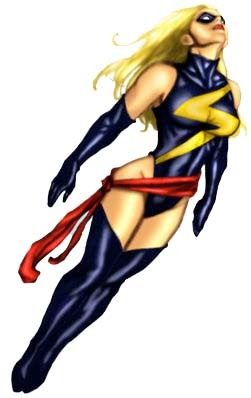 Webpage for Ms. Marvel #1 (Jan. 1977) created 10 December 2009. Last modified 26 December 2013.